Yes sir we are flexible . you can data log for us and base on your fuel and your vehicle we can make sure its safe or add more just depending on what you would want. I’ve seen these but the 3.0 numbers don’t look right for stock. 5star, excellent job on these cals! The numbers for the 2.7 don't look right either. Losing only 25 pounds of torque through the drive line seems a little off. I prefer an engine in my truck over a motor. I definitely agree, 5.0L ALL THE WAY!! That always bugs me too. If I wanted motor I would get a Telsa. Nice graph FiveStar! Could you attach a PDF of the same run? 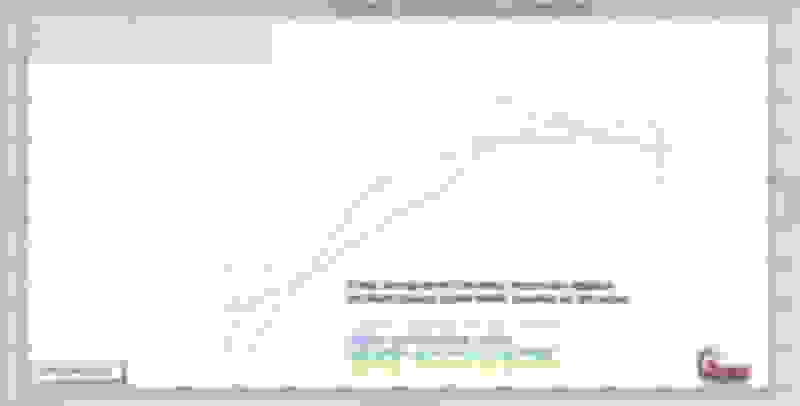 My old eyes have a hard time seeing the lines on the graph even when I enlarge it? Also are you guys working on a 18 Up Whipple Tune? 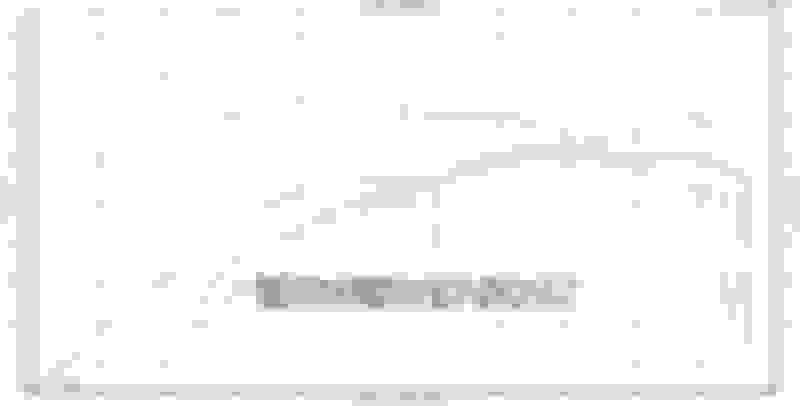 Last edited by 5star; 11-13-2018 at 05:06 PM. 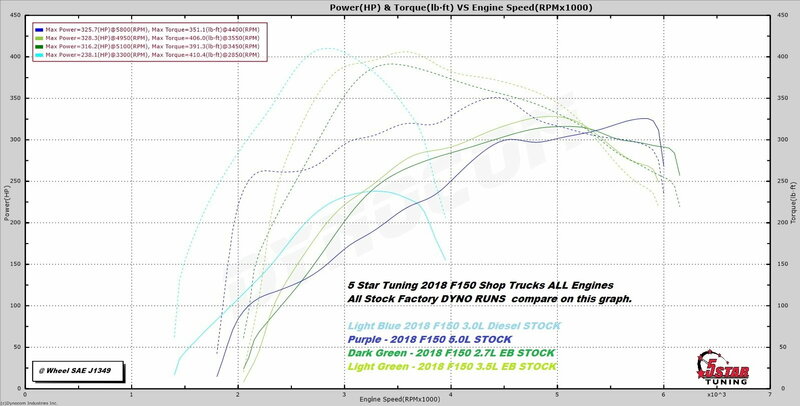 Either the 2.7EB makes way more power then Ford is saying or there is something wrong with those numbers. 391ish ft lbs at the rear wheels when Ford rates it at 400 at the crank. Also not sure why the 5 star 5.0 dyno was so low. There are many making over 340 stock, some as high as 360-370. Interesting observation is that the diesel makes the most below 3200 rpm, 3.5 makes the most from 3200-5200, and 5.0 makes the most over 5200. Intuitive I suppose. 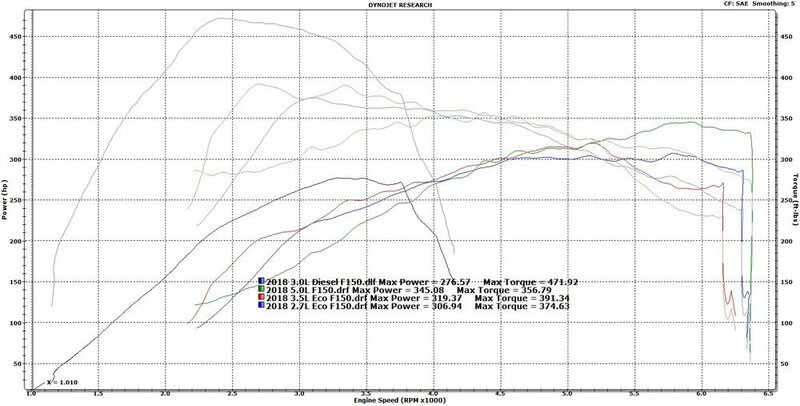 Also interesting that all the gas motors make the same power at 5250 rpm, where hp and torque also intercept. Last edited by 5star; 11-13-2018 at 07:46 PM.